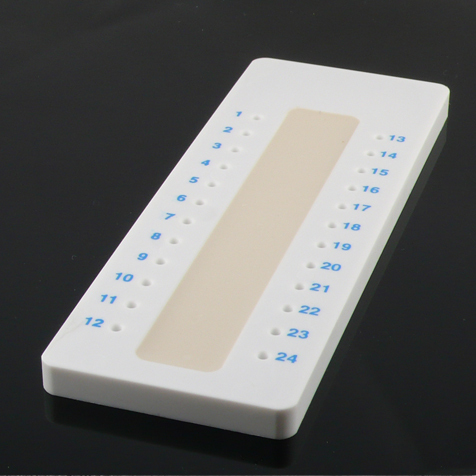 Globe Scientific's capillary tube sealing tray contains a unique wax compound that quickly forms a leak-tight seal. Non-toxic, non-drying and non-hardening, the sealant is formulated to withstand centrifugation. There is no need for plastic caps or heat sealing. The tray has 24 numbered places for easy patient identification. Our pipette bulbs are designed for use with all Globe capillary tubes. They help to expel the blood from the capillary tube (if needed). They are also used when drawing blood directly from a 13mm or 16mm blood collection tube (instead of directly from a finger). The expiration date for the Capillary Tube Sealant is 4 years after the date of manufacture.